Last week I started a new series designed to help you succeed with Google AdWords – providing some important context and tips for properly structuring your Google AdWords account. If you didn’t catch the last post, make sure you take a few minutes to read through it. Properly structuring your account from the beginning really is the foundation to a high performing account. This and next week’s posts address the topic of keywords: how to identify relevant keywords, determining which keyword “match types” are best for you, how to properly cluster your keywords into ad groups, and the importance of identifying negative keywords in your account. First, resist the temptation to jump in and immediately start creating a massive keyword list. If you take a little time to be more strategic at this stage, it will pay off handsomely ($$$) down the road. Which of my products or services deliver the healthiest profit margins? What products or services are the MOST important in growing my businesses profitably over the next 1-2 years? Too often, AdWords is “that thing the marketing guy does,” without involvement of the business leaders. This can result in a shotgun approach to AdWords marketing across all your products – when what you really need is rifle precision on your most profitable products that will accelerate the growth of your business. Build keywords around THOSE products. 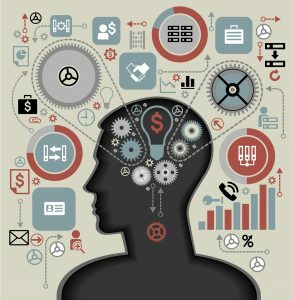 Thinking like Your Prospect: Your company’s “internal speak” can be very different than the way the general public would describe (or search for) your business. In some cases, a prospect may be familiar with your technical and industry speak, but in most cases, they won’t. This isn’t rocket science, but it is something you should be mindful of. A quick example: I know… I know… you’ve got the best Docosanol cream on the market, but most of your potential customers don’t even know what docosanol creame is – they’re just trying to find a way to get rid of their painful and ugly cold sore! MOST will be searching on things like “cold sore treatment” or “fastest way to get rid of a cold sore”. Always put yourself in the shoes of your potential customers when identifying keywords and writing ads within AdWords. Thinking like a Mobile Device User: Here’s another important tip to keep in mind (and it’s getting more important every day). 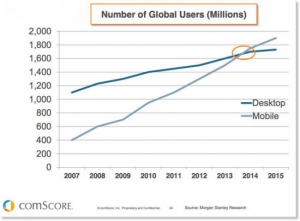 Last year, we past the tipping point for mobile. It’s hard to believe, but there are now MORE mobile users accessing the internet (and performing searches) than desktop users. This has big implications for the AdWords marketer, but let’s just stick with the main implication as I see it related to keyword selection. Mobile voice search on smartphones has more than doubled in the last year. Why is this important for your AdWords strategy? Because search behaviors (i.e., search phrases) differ significantly between desktop and mobile. Folks tend to view their mobile device as an extension of themselves… having a more personal, more human quality than their desktop. So their search behavior tends to be more natural… more conversational. People just search for things differently when they speak into their device. The use of question-based phrases are much more prevalent in mobile voice search. Rather than using Google voice search to say “pizza restaurant Midtown,” your mobile prospects are saying things like “where’s the best pizza in Midtown.” Smart AdWords marketers are making these question-based search phrases a growing part of their keyword lineups, you should also. Now that you’ve given good thought to the specific products or services you’d like to promote, how typical prospects might search for them, and how question-based search phrases play a role, it’s time to start generating potential keywords. Here’s the good news. Google does a lot of the heavy lifting for you. No matter how complicated an AdWords Manager might make initial keyword research sound, the truth is that almost all of them (me included) will use Google-provided tools and data. It’s actually not difficult to generate a long list of relevant keywords (the more challenging part is determining proper match types and bidding strategies for your keywords – we’ll cover those topics in the next couple weeks). Here’s how to generate your initial keyword lists using Google’s Keyword Planner Tool. Log into your AdWords account. Select Tools>Keyword Planner from the top menu. To keep things easy at this point, simply add a search term you believe is relevant for your offering in the “Your product or service” text box. You can use multiple terms by separating them with a comma. The other targeting and customization fields are optional. Click the “Get Ideas” button. On the next page, you will see results provided in two ways: a tab for Ad group ideas, and a tab for Keyword ideas. I recommend you use the ad group ideas tab because it helps jumpstart your thinking around what keywords might logically cluster together to form an ad group – that’s something that’s really important. From here, you can either add an entire suggested ad group to your plan by selecting the blue >> button in the “add to plan” column… or select individual keywords within each suggested ad group. When you’re adding individual keywords to your plan, just ensure that you first highlight the most appropriate ad group in the right sidebar (or use the + icon to add a new ad group for those individual keywords. Remember – this is purely a sandbox. Nothing you are doing here impacts your live account. You will have opportunity to refine this list of ideas before going live. For new users, I don’t recommend saving your plan directly to your account at this stage. Instead, I think it’s best to download your keyword/ad group ideas into Excel so you can further review and tweak until you are 100% comfortable adding them to your actual campaign(s). The goal of this activity is to identify several tightly clustered themes related to your product or service. If you sell appliances, you might have ad groups for ovens, refrigerators, washing machines, dryers, etc. Then, within each ad group, you should aim to generate 10-20 tightly related keywords. One last point about the keyword planner tool: You’ll see information is provided for each keyword’s competition level and suggested bid. These are estimates ONLY, and can vary dramatically based on how you ultimately end up structuring/targeting your campaigns. For this reason, don’t let these numbers scare you. At this stage, keep any keywords that you believe are highly relevant to your product or service, regardless of competition and suggested bid. Before going live with a particular ad group, you will have the opportunity to decide whether to include or omit a particular keyword. Hope this helps, next week I’ll dig into a couple of other topics that are important to your keyword strategy: determining match types and identifying negative keywords.